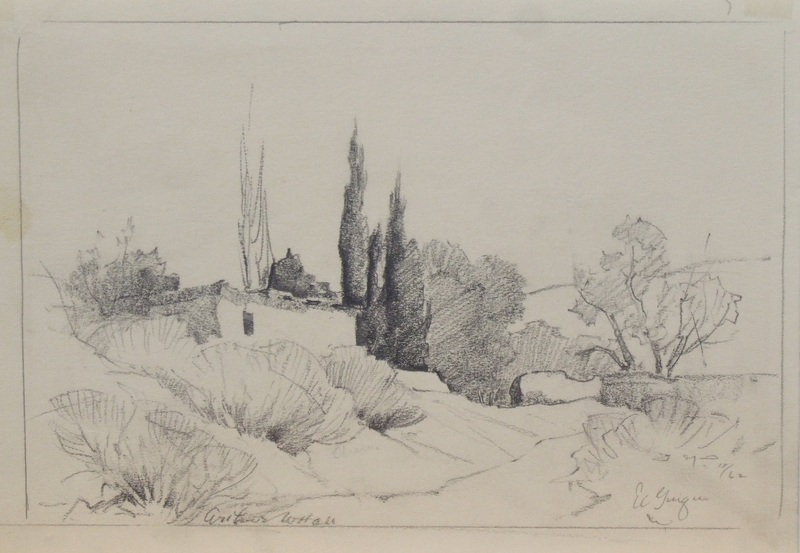 Landscape study in pencil. Titled, signed and dated. Slight stain on left side of margin, unframed.